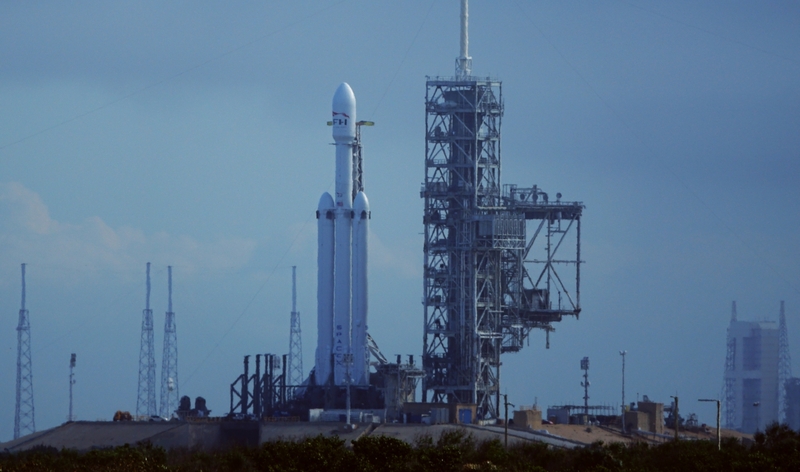 SpaceX has been ticking off the milestones towards the maiden flight of its Falcon Heavy rocket, with the latest achievement resulting in the vehicle making her first trip to the launch pad. Via a process known as “Fit Checks”, this flow milestone allows for a test run of rollout and erection on Pad 39A ahead of another upcoming first, the Static Fire test involving the ignition of all 27 engines. Falcon Heavy has been a long time in the making, as is usually the case for most new rockets. Signs the impressive renders and fascinating videos were close to becoming a reality stepped up a gear when hardware for this maiden flight started to make appearances out in the open. 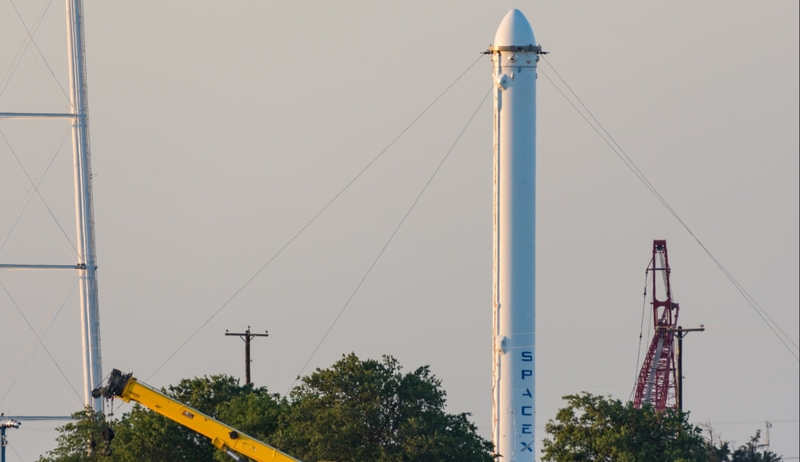 With the side boosters undergoing testing at SpaceX’s McGregor test site in Texas, obvious due to their aerodynamic nose cones, preparations on the hardware began to pick up the pace during testing opportunities that did not impact on SpaceX’s regular launch manifest with its Falcon 9 rocket. Falcon Heavy’s main propulsion consists of two flight-proven cores for the side-mounted boosters (boosters B1023.2 and B1025.2) and a new core for the central core (booster B1033). That center core also paid a visit to McGregor for a full duration static fire test. These three boosters finally arrived at SpaceX’s 39A Horizontal Integration Facility (HIF) at the Kennedy Space Center to undergo final checks and mating procedures. The HIF at KSC’s historic pad was purpose-built to host both Falcon Heavy and Falcon 9 flows at the same time. 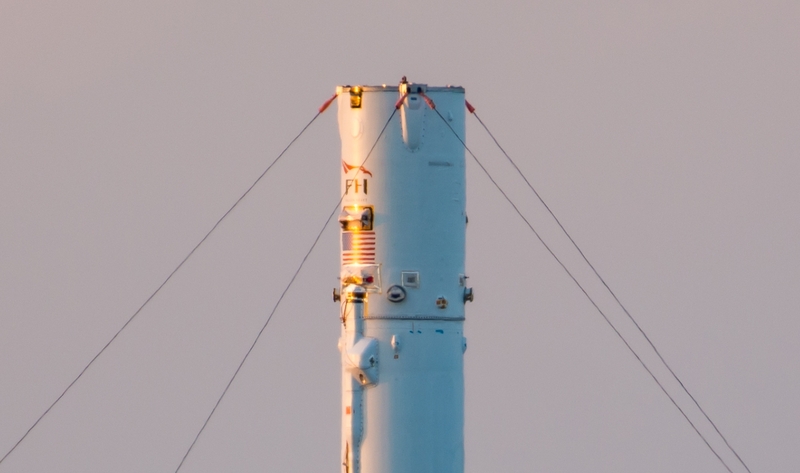 They were joined by the upper stage and the fairing, sporting the Falcon Heavy logo. Although the potential of launching before the end of the year – as Elon Musk had previously noted was the hope – was lost, SpaceX did manage to achieve a major milestone over the holidays with the rollout of the full stack to 39A. Riding on the modified Transporter/Erector/Launcher (TEL), which is now capable of launching both Falcon 9 and Falcon Heavy, as originally envisioned, the huge rocket finally graced 39A, standing proud as the most powerful all-liquid propulsion rocket to sit on the former Apollo and Shuttle pad since the Saturn V in the 1970s. This flow was for the “Fit Checks” a new rocket usually undergoes to provide data on rollout and erection at the pad. This was the first time the modified TEL had taken the full stack to the pad. No propellant loading was conducted, although the vehicle may have been “powered on” to aid the checkouts. “Power On” is one of the first items on the checklist for a launch day. 24 hours later the rocket was lowered back to horizontal and will now head into the flow for its Static Fire test. This test is currently expected to take place on January 6, although – as always – these dates can move around due to numerous factors such as readiness, range authority and weather. One driving factor that directly relates to this preliminary target date is the upcoming launch of the secretive Zuma spacecraft, which is currently targetting January 4 following a lengthy delay relating to a since-cleared concern with the fairing. This launch, providing there isn’t another large slip, is the near-term priority for SpaceX. 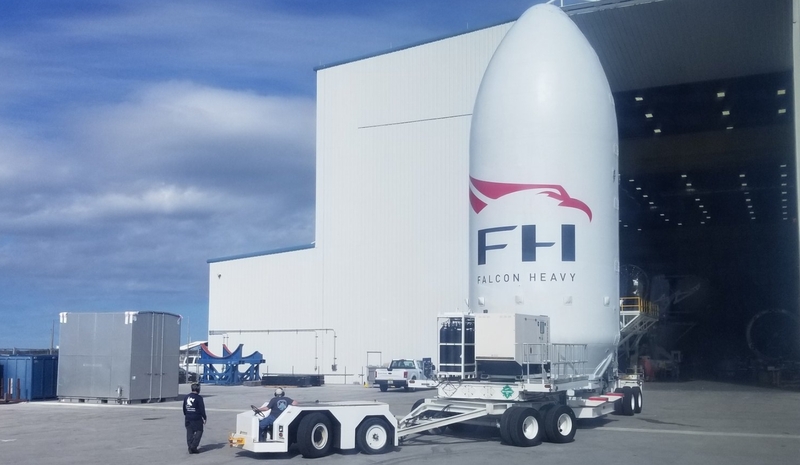 Once launched, the focus will return to Falcon Heavy Static Fire test. So the next two big SpaceX events will be the launch of the secretive Zuma spacecraft we don't know anything about (SLC-40). Followed by the Static Fire of Falcon Heavy (39A) ahead of launching one of Elon's car to Mars. It was originally understood SpaceX would first conduct a Wet Dress Rehearsal (WDR) on the rocket to test prop loading and the characteristics of the rocket before attempting to fire up her engines. However, it is now likely SpaceX will treat the day as a full Static Fire test. This will make sense as any issues that may prevent the ignition of the engines would still allow for good data to be gathered as if it was just a WDR. By the same token, an issue-free WDR would provide the opportunity to take that extra step and run the test through to ignition. The Static Fire test will be a new challenge in itself, with engineers having to monitor 27 – as opposed to nine – engines, all of which will have their own vast amount of data on their health and performance. It is likely that due to this amount of data, even the “Quick Look” review will take some time before SpaceX classes the test as a full success. 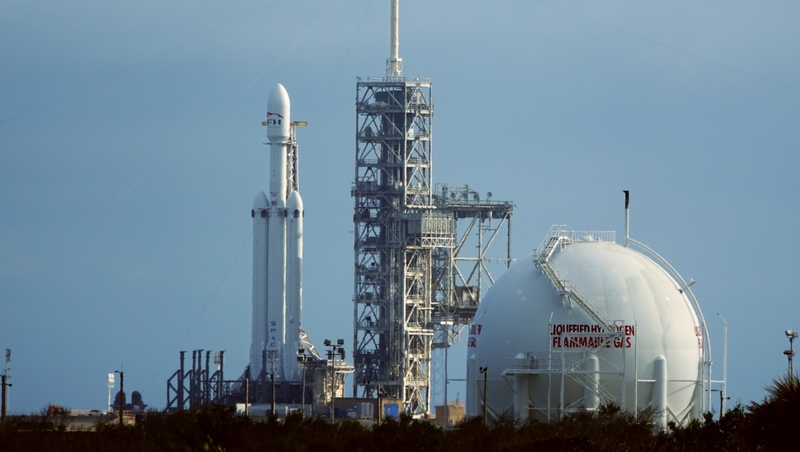 Due to the number of engines, Falcon Heavy will follow an ignition sequence similar to the Space Shuttle, employing a staggered start sequence – like main engine start on Shuttle – where each main engine started 120 milliseconds after the previous. It is understood that two Merlin 1D engines will be lit simultaneously followed by the next two… and so on until all 27 are up and running, providing a controlled ramp up to full power for the business end of the vehicle. While the key Launch Readiness Review (LRR) will be another obvious milestone ahead of setting the launch date, this maiden flight is likely to undergo several levels of reviews at the hardware and executive level before SpaceX is comfortable with providing the green light to press to launch day. Based on Range bookings, no date has yet been officially filed, although several sources cite a preliminary window opening on January 15. However, rocket fans should be cautioned against using this date to book flights, given the absolute importance of conducting a successful Static Fire test.